I've not read anything by this author before, and when I was looking for festive books to read this one caught my eye, now having read it, its easy to see why this author is so popular - the book was atmospheric, had characters that you could easily love and idyllic settings. The Christmas Cottage Ever After is a two story book, both books however feature the same set of characters with Lacey Quinn and Ava Callahan taking the centre stage - I should point out that that the girls have known each other all their lives and their families are very close! In the first book, The Christmas Cottage, the girls are getting ready for Ava's wedding to Mason, although things don't seem to be running smoothly. Ava and Mason are due to wed at her family holiday home in the mountains, where the couple will spend their wedding night in the guest cottage, a place that Ava is convinced will solve her and Mason's issues as according to Ava's late grandmother, legend has it that any couple that shares a night in the cottage with have a lifetime of love and togetherness - it's all very magical and fairytale like. As Ava starts to turn into bridezilla, she asks her best friend Lacey to 'prepare' the cottage for her wedding night as it is the tradition of the maid of honour and best man to do this - one slight problem is that Mason has fallen out with his best man, Brian, and stepping in to place is Ava's brother Ean. Now whilst that might seem very honourable and causes excitement between the families, it casues utter panic to Lacey - twelve years ago she had a crush on Ean and hasn't really moved on since. 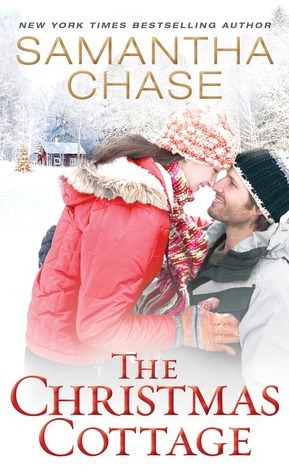 Lacey takes off to the cottage to see what she can do without Ean's help as feels it would be easier to avoid him and her teenage humiliation at all costs, meanwhile, Ean decides to head to the mountains for a few weeks to break away from his stressful job prior to the wedding and Christmas - when a snow storm hits they are forced to share a night in the cottage and declare their feelings for each other. As Lacey and Ean grow closer, Ava and Mason seem to have more and more issues the closer their wedding gets, plus Ava is in a huff as believes Lacey and Ean have stolen her Cottage Magic! On the morning of the wedding everything changes....! Ever After, the second book, starts approximately 8 months later, I don't want to spoil it too much but I can't really talk about this book without giving out details - so I apologise! Since Lacey and Ean tied the knot at Christmas, they are now expecting their first child. Ean has moved back to his families home town and reloacted his business - whilst their lives are ploughing forward, Ava is at a loss. That is until Brian, yes the ex best man from her wedding she didn't have Brian, comes back into her life and as the story unfolds we discover that the reason he and Mason grew apart is due to his feelings for Ava, and as he becomes more apparently in Ava's life she starts to see how badly things were with her and Mason because of how right things are with her and Brian - one snag.... Ava is convinced that she can only tell Brian how she really feels if they are in the cottage where she believes they are guarantees a happy ever after if they spend the night. In her madness, and against Lacey telling her friend it doesn't matter where in the world they are, if her and Brian are meant to be then their love will last, Ava pushes Brian away and we are left questioning whether Ava can realise that Lacey and Ean are right and that Brian is her happy ever after? Both the Christmas Cottage and Ever After were fabulous reads, both were well written and enjoyable. There were moments of laughter and moments of emotion and true powerful friendship. I would certainly recommend this book bundle if you are in need of a romantic story set at Christmas.